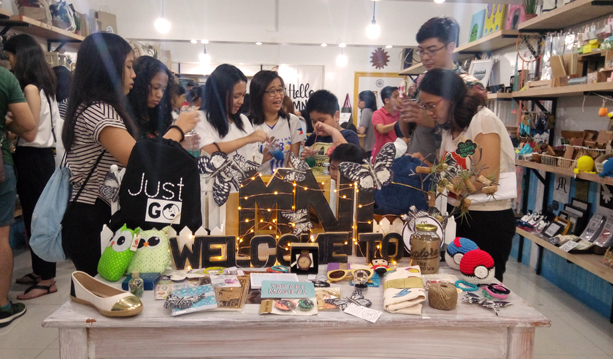 There is a new home for Filipino made goods called Hello Manila. The store was on its soft opening for the whole month of September. On its opening party on October 1 some of the partner brands held demos, yours truly included. It felt pretty good to see the store in full operation with well stocked shelves since I've done ingress. They presently carry 50 different Filipino brands, here are some of them. I wrote a feature about them for Realliving.ph and also they became my client. Here's a look behind the process of making their stamp from start until its ready for mounting. 4 inch diameter mounted on 4.4 x 4 inches wood mount. Let your titos and titas know they can support the makers by shopping local.